Tomorrow marks 3 weeks since Patrick’s last day of school. For most people, summer vacation is in full swing. For us, we’re finally starting to get our bearings. It’s been an unusual start to summer. Things seemed smooth enough. 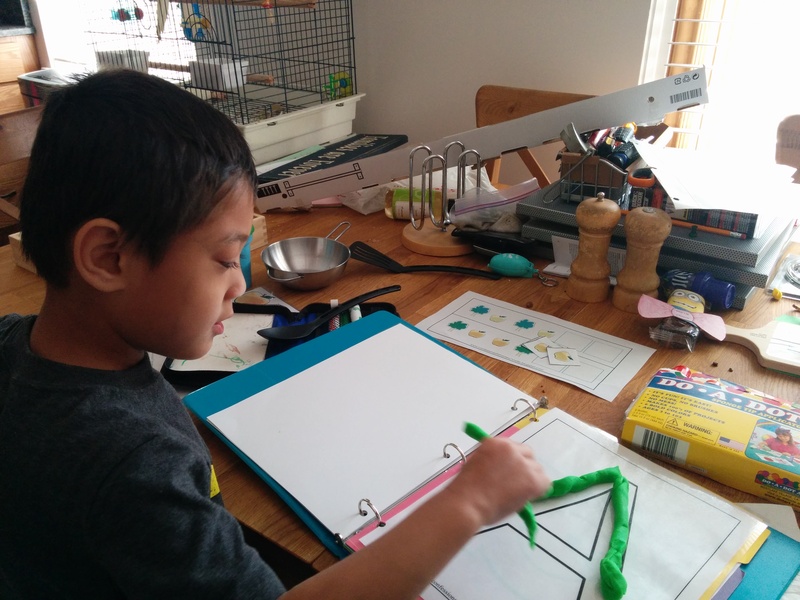 I spent that first weekend after school ended gathering myself to start a tradition Patrick and I are calling “Mommy School.” Between therapies, Patrick has a LOT of “homework”. He’s supposed to spend 10 minutes every day doing eye exercises. He’s supposed to be practicing writing and cutting and and gluing and using a keyboard. We’re supposed to be strengthening his core, working on activities that use both sides of his body evenly, and encouraging him to cross midline. He’s supposed to be practicing telling me stories in various verb tenses, using articles, and correcting his use of pronouns. Plus working on vocabulary building, sorting skills, categorization skills, social skills, attention skills and on and on. All of this to help keep him progressing on his current trajectory which, discouraging as I may find it, is approximately two years behind most of his peers. Except, it seems, when it comes to the alphabet. Patrick has the alphabet down pat and tested in the top 25% of his preschool class. Our first day of Mommy School. Learning the shapes of letters by building them from playdough. 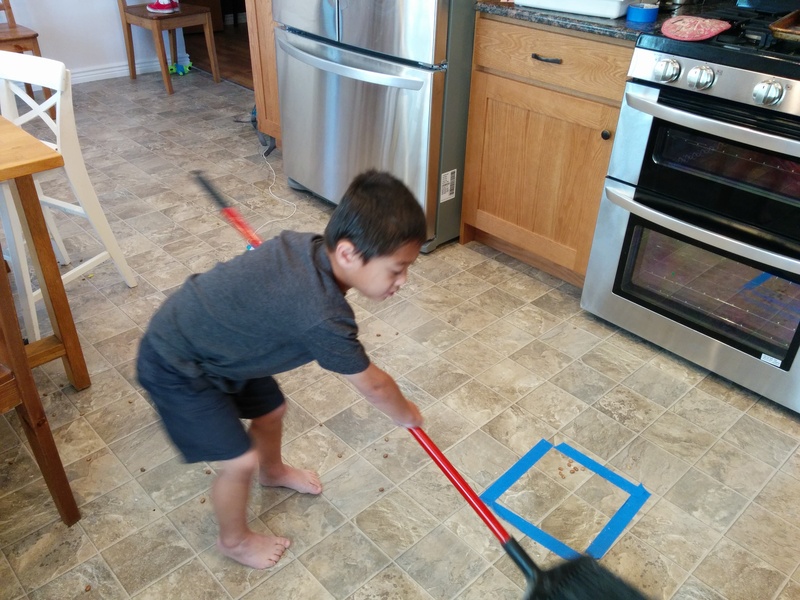 A practical life mommy school lesson on how to sweep. And so, this summer we introduced “Mommy School.” We’re doing an abbreviated letter of the day curriculum, since letters are what Patrick loves. Every week is assigned two letters and every day a word that starts with that letter. Then I go out and scrounge up books, worksheets, crafts, activities and field trips on that theme. B is for Bears, and a teddy bear picnic. The first day of Mommy School went GREAT! Until, that is, Patrick developed a fever. The next day of summer break was spent cuddling a sick, feverish kid in a chair. He had a cold and we were grateful to be able to stay home sick like other children. By Thursday, Patrick had mustered the energy to play on his own again. But, by then, I was sick. Patrick sees 3 therapists on a regular basis in the summer. It’s hard work, but fun too. 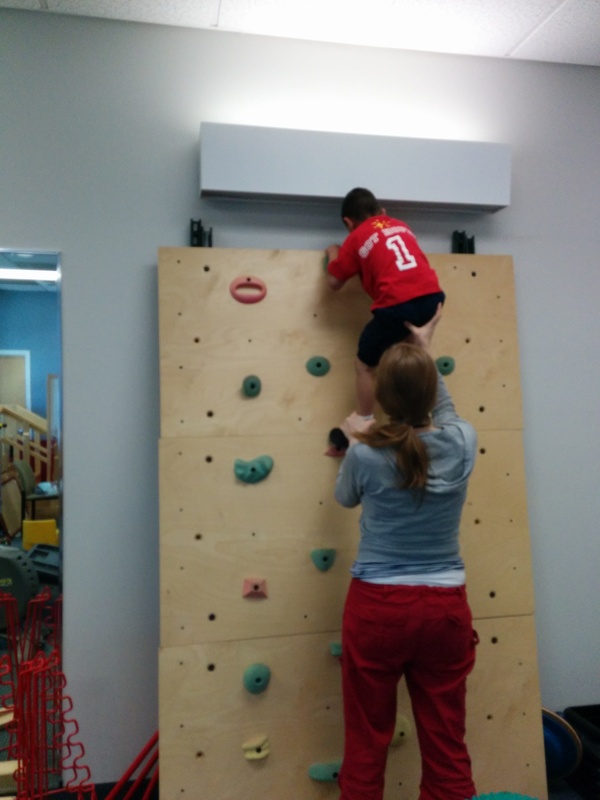 Patrick’s reward for a good hour of work in physical therapy is the chance to climb the rock wall. In occupational therapy, Patrick gets to take sensory breaks in the gym. 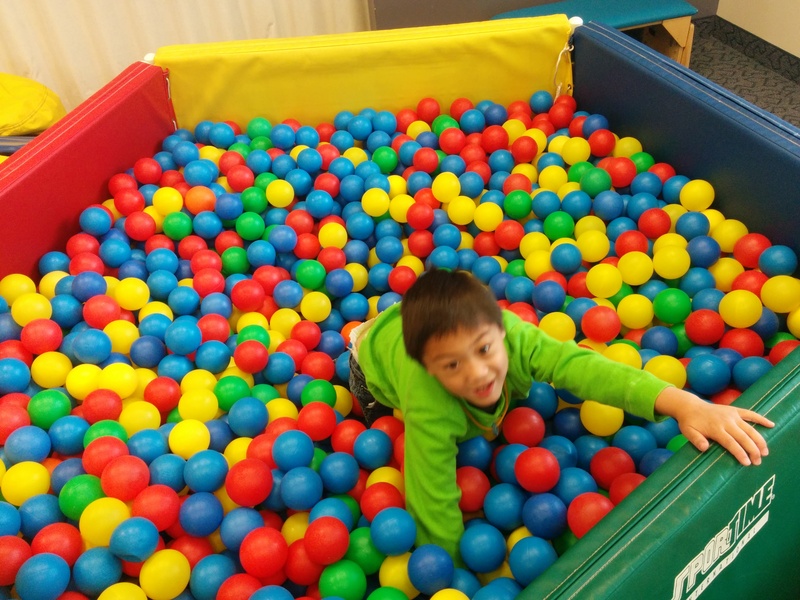 Diving in the ball pool is a favorite exercise. Our second week of summer break, Patrick and I were finally starting to be healthy again. But Brian wasn’t. 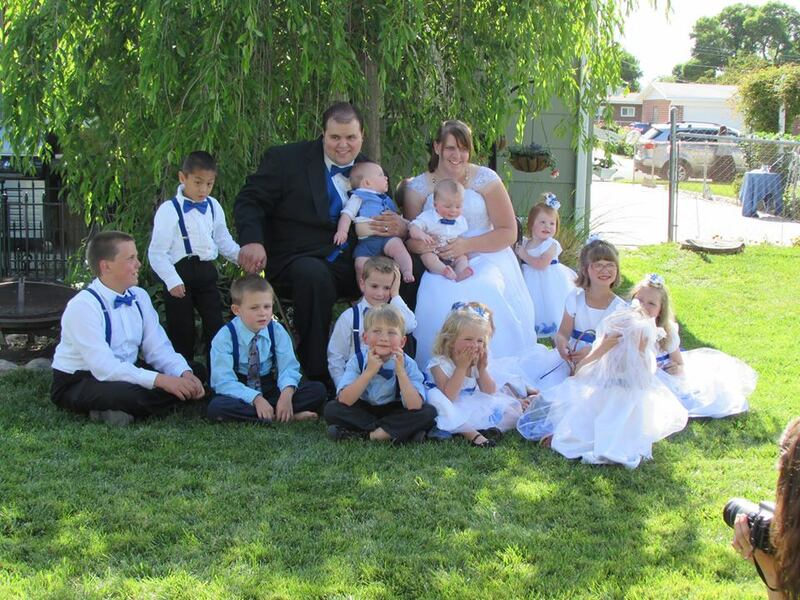 And it didn’t matter if we were healthy or not because on Saturday of that week, my little sister was getting married in my backyard. 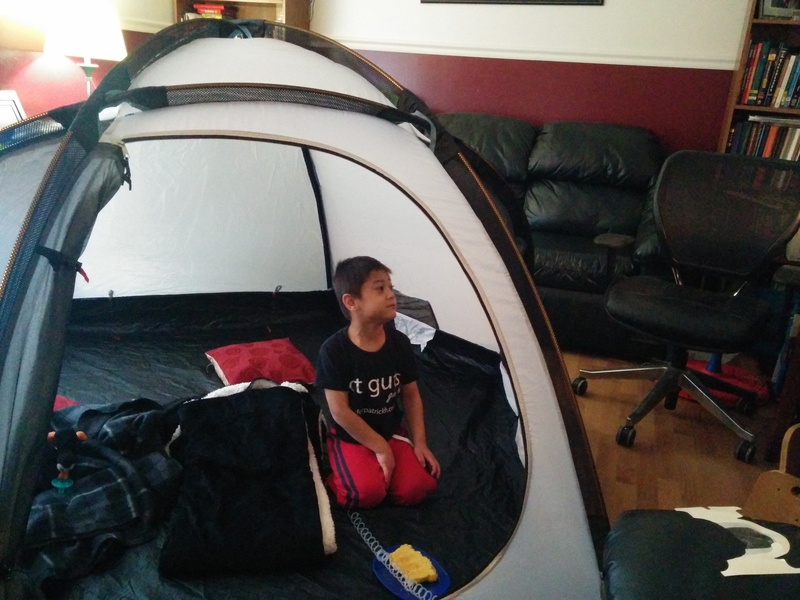 So, I declared “C is for Camping” and we pitched a tent in the living room. Amazingly, this both occupied Patrick and kept the room clean while he binged on movies and we scrambled to finish last minute details on the house and yard. I meant to pitch a tent outdoors, but it rained all that day, so we brought it inside. It worked so well we kept it a second day, too. We also sneaked in a couple of outings.. a family night at Red Butte Garden and a field trip with friends to the Natural History Museum. (I picked up a free month-long museum pass at the local library just so we wouldn’t have excuses to just stay home and work.) Besides, in order to get Patrick to let us work, we let him watch his birthday movies on endless loop, which left us all craving some family adventures. 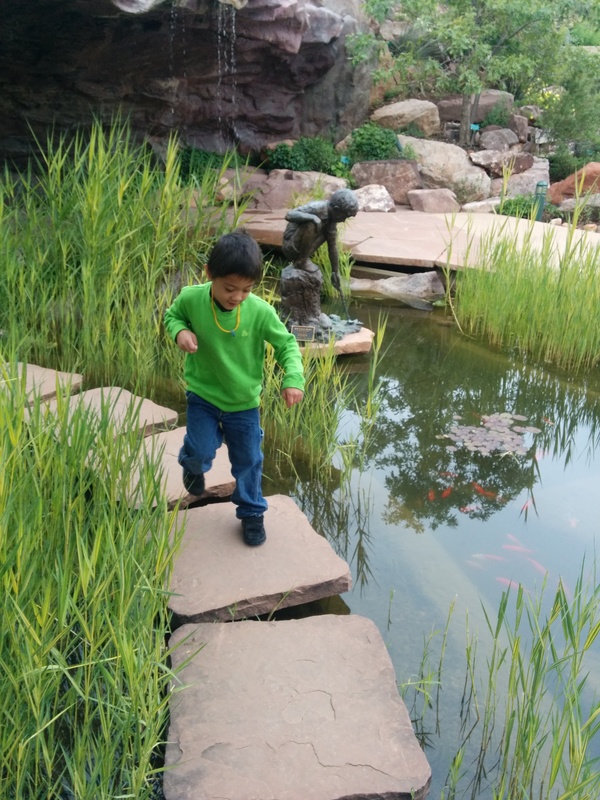 Patrick loved the children’s garden best, especially hopping on stepping stones across the fish pond. 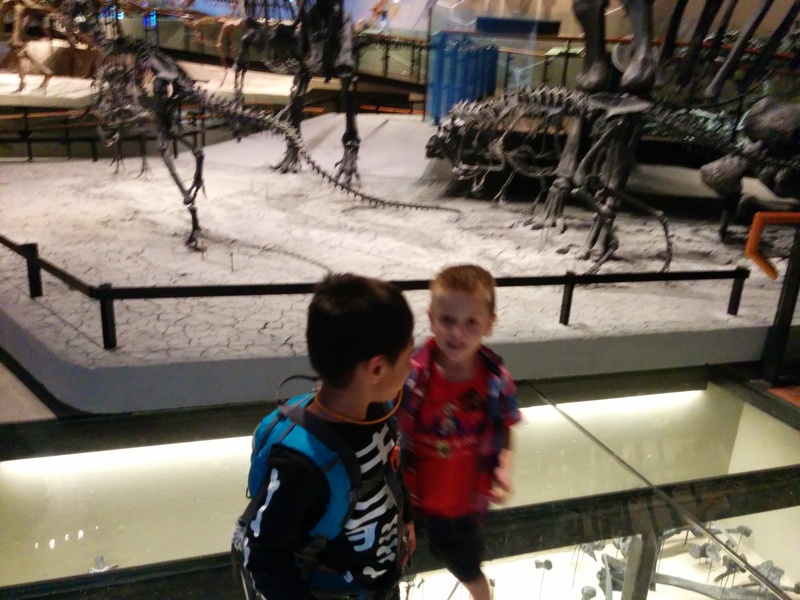 The best part of our trip to the Natural History Museum was not the dinosaur bones. It was the chance to be there with other friends who know exactly what living with Short Gut is like. The wedding went smoother than expected, though playing hostess and trying to keep Patrick from completely melting down about how his house was filled with children who were not sharing his toys with him kept me busy enough that I didn’t manage to take a single picture. I was too busy to take pictures, but there were lots of cameras there. I snagged this one off my mom’s Facebook page. My sister was a beautiful bride and the happy couple truly looked happy and in love. Patrick eventually settled down with Grandma who let him fetch endless cups of water from the refreshment table and pour them all over himself and her and all went well enough. Except that it turns out that maybe the bug that had Brian sick isn’t the one that had Patrick sick as I ran a fever all night. So, Sunday we took a sick day and we stayed and home and did absolutely nothing except that Brian cooked us a delicious roast. The day was delightful and refreshing. Perfect after two frantic weeks. Yesterday, I put together a week’s worth of Mommy School worksheets, made a chore chart, got Patrick’s TPN labs drawn and kind of regrouped. Then, in the late afternoon, I changed Patrick’s central line dressing and discovered that, much to my dismay, what had once been a tiny little hole in the clotted side of the line had grown big enough that I was worried it would pull off. But it was after hours and I wanted the head of the IV team to be involved in choices about the repair. So today, we spent our kind of restart to summer day exactly as summer days seem to go for us. Over breakfast, I made a bunch of phone calls to people at the hospital trying to find the best way to get the line repaired. Eventually, I sat down and had a little cry because I wasn’t getting in touch with the people I wanted and I knew we’d have to go to the E.R. Then, Howie gave me a pep talk and a hug and a kiss. Then he talked to Patrick and helped him to gather the courage to get his line repaired. (He was terrified that it was going to hurt when they cut the broken part off of his line.) We headed up to the E.R. where our timing really was perfect. We didn’t wait at all for them to start working. Patrick’s line is a different brand than our hospital stocks because it was placed in Nebraska, so that complicated things and the repair took about an hour and looks a bit sloppy. But it will do for a clotted line. And then, when all was done, we headed off to the Children’s Museum for a couple of hours. We managed to get there at a nice slow time on a nice slow day. Patrick actually got to enjoy exploring the museum and would have happily stayed there all day. His favorite spots were the Bob the Builder exhibit, the gas station, and the pretend E.R. Eventually, we had to go because I was parked in a 2 hour parking space and, honestly, we both needed a rest. So we stopped in at daddy’s office to pick up the leftovers from a lunch he’d cooked for them today. And then we came home and convinced Patrick to nap by 4. Which brings us to right now. Brian just walked in the door to a quiet, clean house and me blogging and said, “Now that’s a sight I don’t see very often.” Here’s to maybe a little bit more of this? Perhaps a few prayers for this line to hold out through the summer and grant us a little bit of peace ..and maybe even health? This entry was posted in Adventures, Aunts Uncles & Cousins, Brain Injury, Central Line, Cerebral Palsy, Development, Family, Family Fun, Life as an SBS mom, Medical updates, Muscle Spasticity, Parenthood, Patrick, School, Sensory processing disorder, Short Gut Syndrome, Therapy and tagged Broviac line, central lines, childhood illnesses, children's museum, family fun, field trips, friends, home health care, homemaking, homeschool, mommy school, motherhood, occupational therapy, physical therapy, proud moments, scary moments, summer, support, teaching, trials and triumphs on June 25, 2014 by geekino. Sorry to have kept you waiting for updates. As you’ll see from this post, it’s been a crazy few days. First of all, if you haven’t heard word any other way, the doctors in Nebraska were able to get a new central line into the Superior Vena Cava and Patrick is back on the transplant list. I mean to post updates but didn’t expect them to order bed rest and minimal activity for the next days after the procedure and, well, accomplishing that is kind of a full time job where Patrick is concerned. We checked in to pre-op at 5:30 a.m. which is 4:30 a.m. Mountain Time and we were all incredibly sleepy. Pre-op was the usual flurry of activity as we met anesthesiologists and got fluids ordered and labs drawn. (They had an amazing phlebotemist who managed to draw blood without Patrick even crying and on her first attempt.) We met the OR nurse whom Patrick loved so much he said she was “Kinda Jo”, in other words, put him at ease like his favorite child life specialist. 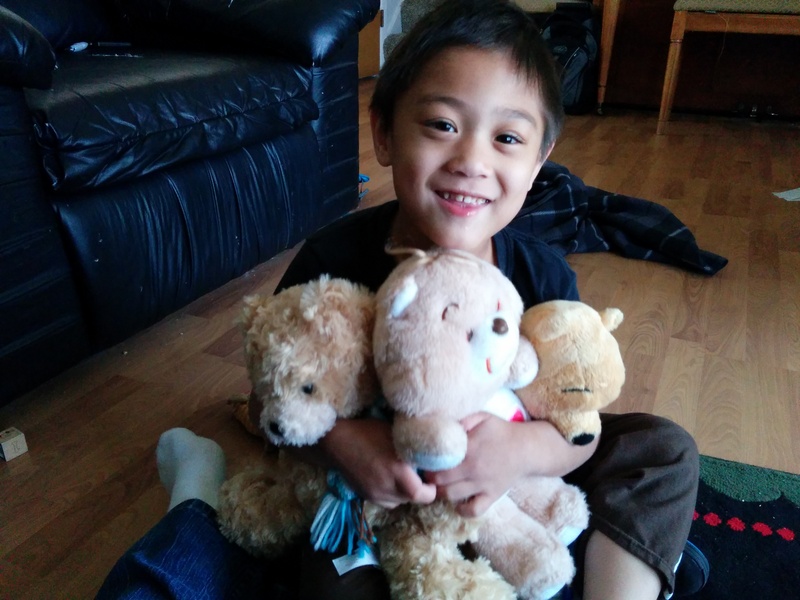 He collected teddy bears and various and sundry medical equipment to use on the bears and charmed everyone in sight. Then we got the meet the doctor and go over the plan. The procedure it took to get us there absolutely terrifies me. I order to get around the blockages, they put a guidewire in through Patrick’s femoral vein and ran it up to his heart where they repositioned the veins in order to reach the right ones and get around the clotting and scarring. At least, that’s what I understood. 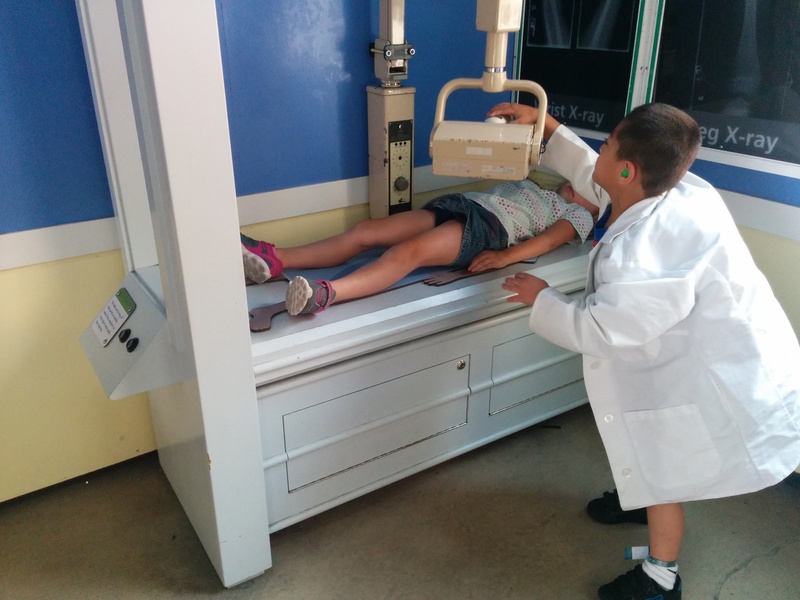 He followed along with x-ray and ultrasound the entire way to make sure things went where they should. What I really gathered from the description of the procedure is that it was insanely dangerous. As the interventional radiologist was going over the risks with us, I just kind of had to shut off the part of my brain that could process what those risks might mean and remind myself that without it, he had no long-term chance of survival. Instead, I honed in on the fact that he sounded confident in what he was doing and that, well, it just felt right. I couldn’t help but think that THIS was the reason we’d been impressed to transfer Patrick’s care to the University of Nebraska. Because they had doctors who had developed this technique to save access and save lives. Knowing how difficult Patrick’s access can be, we all kind of hunkered down expecting them to need hours. So, when we looked up at the status board after just a couple of hours and see that they were closing. Then, sure enough, there was the doctor telling us that everything had gone well and that he had a new line in place. He went ahead and put in another double lumen line for us. Because they stock a different brand, the line they had was rather large, a 9 french, but that could kind of be a good thing. Should be less prone to clotting problems. He also us that this line is to, under no circumstances, be taken out without his approval. If Patrick gets and infection, if the line breaks, if it clots, whatever… the team at the University of Nebraska needs to get involved. Maybe they will teach the team here how to keep the site open. Or, maybe they will fly us back out again. Whatever happens, they do not want to have to attempt to repeat this procedure. We were told that, next to transplant, this is one of the riskier and more specialized things that they do at their hospital. And by the end of the day, Patrick was back active on the transplant list. The rest of the day was kind of crazy. Because of the risks of bleeding from that femoral access, Patrick was ordered to 3 hours of total bed rest with that leg completely immobilized. Knowing our child, we quickly agreed to request sedation for that. At first, the sedation made things a little easier as we scrambled to attached fluids to the new line to keep it open. We also called to ask that his old line be removed while he was sedated (they’d left it in thinking it was still needed, but decided we didn’t need that to be done at home. )… and then scrambling to round up information about the new, different brand of line and repair kits, etc. About an hour in, the nurse decided to stop giving him sedation and just let what was in his system and me distract him. So, we played games on the tablet and we checked the blood pressure of the teddy bear and tried out a Nintendo DS. Meanwhile, Brian went back to the Ronald McDonald House to bring back TPN and to try to meet our delivery of medical supplies. 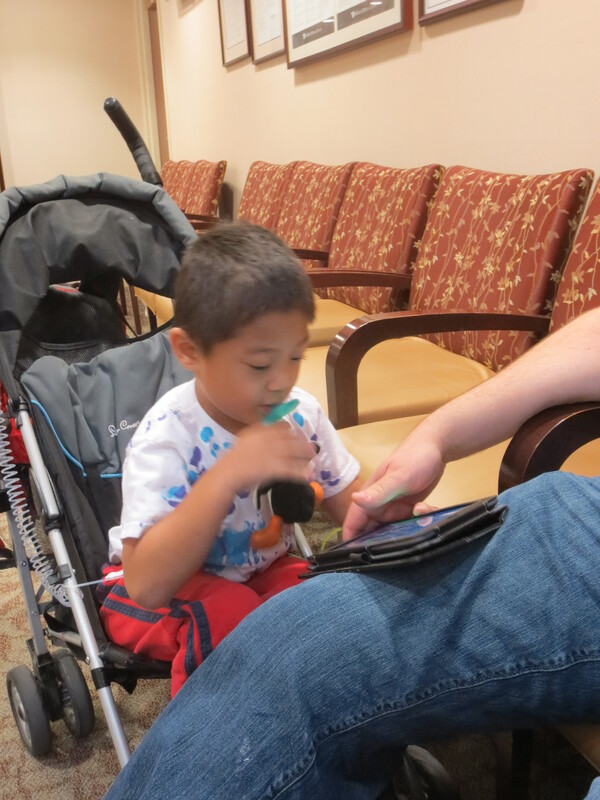 2 hours in, the doctor said that Patrick could sit up in bed and make sure his leg was ok with the extra movement. The post-anesthesia nurse was kind of tired of him tying up the space in PACU I think (they could only keep giving him sedation there) and so she discharged us to their extended care unit. The extended care nurse acted as though she hadn’t received report from the PACU nurse, though. When we got there, she tried to insist that Patrick needed to stay lying still in bed for another hour because that’s what the orders in the computer said. And so, well, yes, I went a little angry mama bear on her and told her that I would not have agreed to come to her unit had those been the instructions. And then we spent the next half an hour trying to keep Patrick still sitting up in bed, doing crafts, sipping water, and not chewing on or removing the COMPLETELY inappropriate non-pediatric pulse oximeter on his finger. And then, I don’t know who talked to her, but the nurse came back in and cheerfully told us we could get Patrick dressed and he could be discharged. Like the nurse who I’d gone crazy on didn’t even exist. Anyway, we were grateful for the dismissal as we had managed to squeeze in an appointment with one of the transplant surgeons at 1 p.m. and 1 p.m. is when Patrick was supposed to be cleared after 3 hours’ bed rest. So, we hurried over to the Intestinal Rehab Clinic and checked in for our visit and a little while later, Dr. Langnas joined us. We explained to him our concerns about whether or not waiting for a combined liver/intestine transplant might be increasing Patrick’s wait time. He listened to our concerns and then explained the benefits that he sees for Patrick in the liver listing. Then he promised us a future date where, if Patrick has not received a transplant, he will take our concerns back to the transplant review board for reconsideration. The rest of the day we spent trying to help keep Patrick down. We went back to the Ronald McDonald house again for a little back and let Patrick play in the playroom. Then, in the interest of some forced holding still, took a drive instead. Patrick heard us mention the temple as a possible destination and voted for that. 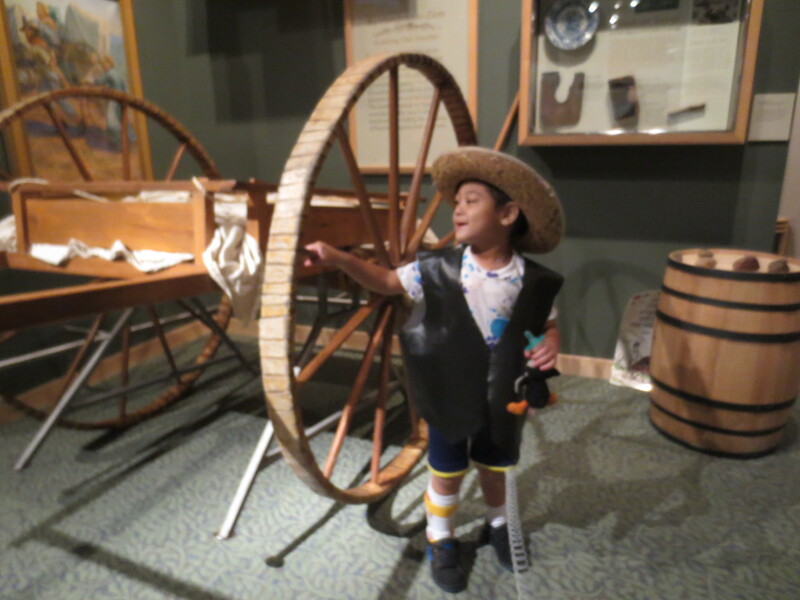 So, with our bruised and bandaged and druggy little boy, we went and visited the Mormon Trail Center and Winter Quarters Temple grounds. Then came back on time for a yummy lasagna dinner courtesy some generous Ronny House graduates, then went to bed early and exhausted. After tucking Patrick into bed, it hit me just how serious what he’d been through that day and week really was. Another case of him surviving against the odds, an unquestionable miracle. And a VERY close call. I shed a few tears of fear and relief that night, said a prayer of gratitude, and went to bed. This entry was posted in Central Line, Life as an SBS mom, Medical updates, Patrick, Short Gut Syndrome, Temples, Transplant and tagged anesthesia, Broviac line, central lines, close calls, interventional radiology, IV's, lost vascular access, miracles, nurses, procedures, recovery, scary moments, surgery, travel, trials and triumphs, University of Nebraska Medical Center on September 11, 2013 by geekino. We are home and in our own beds after a very VERY crazy day. Before you have to read too far, I’ll tell you that the surgeon was able to get a central line into the same vein. Now back to the day…Patrick wanted out of the room after being cooped up yesterday, but we were a little too late in our attempt and the nurse needed us to hang around to make sure medications were given on time this morning. He spent the entire 2 hours the medications were running doing some running himself around the room, despite my protests that he was pulling his line with the very short tubes. When he finally got to leave the room, he took off literally running… fast enough that I had to run to keep up with the IV pole. We got to the playroom and he starting flitting from thing to thing.. And then I realized that the damp spot I’d seen on his chest was more than just damp… it was dripping wet. So I looked and, sure enough, the good lumen on the central line had broken. We cleaned him up, talked to the doctors, and wrapped up the line to keep it clean. Then Jo from child life helped Patrick place an IV into Tubes’ (Patrick’s medical me doll) hand. As we finished, IV team arrived and we went and got a real IV for Patrick. Explaining the procedure actually seemed to help a little bit with his fear. Then the GI team came for rounds, got brought up to speed, and redressed the broken line to keep it sterile. We opted not to repair it as it was due to be replaced anyway. Then surgery came by and had me sign a consent. By then, Patrick HAD to move. So we took advantage of the short break from tubes that having to wait for a bag of fluid that was safe to run through a peripheral IV (TPN has too much sugar and other goodies in it that wreak havoc on veins.). We hopped on his physical therapy bike and started doing rounds of the hospital. My goodness is that boy fast! And even with only one good hand to steer with, he was flying through the halls. Did I mention that Patrick’s OT said that she was going to recommend that Patrick always get to borrow a bike when he’s inpatient to burn off energy and help him calm down? Amazingly, riding the bike wore Patrick out. He was so tired he didn’t want to pedal anymore. We came back to the room, rubbed his lavender calming cream on his feet, and he fell right to sleep. While he was napping, my cell phone rang. It was Dr. Jackson (Patrick’s GI) calling to say that he and Dr. Rollins (the surgeon) had looked at the radiology and decided it was too risky to change out Patrick’s central line. And as I started to explain that that ship had sailed, Dr. Rollins arrived in the room. He’d just been brought up to speed and knew that the line needed changed. But he told me that he honestly didn’t know where a new line could go. We talked about how much of Patrick’s access had been lost and how he wasn’t sure he could get a catheter to pass over a wire to change the line out over a wire. Then we talked about those scary other places central lines can go like in the groin or liver. It was the first time those options seemed real and I was quite scared when he left. Thankfully, Patrick napped a little and Brian came up and we grabbed some lunch and talked and I didn’t spend too much time alone with those thoughts. And then Patrick woke up from his nap and Jo from child life came back with a box of things to teach Patrick about surgery. And surgical transport came to get Patrick, then got called away on an emergency, and came back an hour and a half later. Patrick finally made it to the OR around 3:30 p.m. The surgeon was cautious, but hoped it wouldn’t take more than 3 hours. We went and set up shop in the waiting room. We were amazed when he told us that he’d been able to change out the line over a wire. We were even more amazed when he told us that there was so much scar tissue in the superior vena cava (the vein that enters the heart where lines are usually placed) that the wire wouldn’t go through it. And surprised yet again when he explained that somehow his wire had landed instead in another major vein called the azygos vein. He said that sometimes they do put lines in that vein, but usually have to go in surgically through the chest. I can’t help to think that that represents a bit of a miracle. And when we got back to the room we flushed the line. I almost wanted to cry at how smoothly it flushed. I knew Patrick’s line was bad, but feeling the contrast makes me amazed that it lasted for 15+ months. And then, because they offered and because we were tired and homesick, we accepted a quick discharge. We will still need to go back in a couple of weeks for a venogram to see exactly where Patrick’s veins run now. There’s this amazing process called collateralization where the body, when it starts to have thrombosis or scarring in a vein, starts to make new blood vessels instead that connect to the heart in all kinds of crazy ways. A venogram will show us exactly how those things connect. We did one in Nebraska, but it was somewhat inconclusive. So we are going to give Primary Children’s a go. But for now, it seemed like we’d had enough hospital and enough sedation and it was time to let everyone rest. Patrick ran around home very happy tonight. And very funny. He was making up all kinds of silly jokes that made me laugh. He even ate 1/4 of an applesauce cookie. And on that note, I’m going to quit staying up while the rest of the household is asleep. Thank you all for your prayers and thoughts and love. This entry was posted in Central Line, Life as an SBS mom, Medical updates, Patrick, Short Gut Syndrome, Surgeries and tagged Broviac line, central lines, Dr. Jackson, Dr. Rollins, hospital stays, IV's, miracles, Primary Children's Hospital, scary moments, surgery, TPN, trials and triumphs on August 29, 2013 by geekino. Or perhaps I should title this post “A date with the devil.” We are being forced to get to know the devil we don’t know. Believe it or not, we finished a course of antibiotics and we went on vacation. Brian went on a business trip to the Ukraine. Patrick and I went to visit our good friends, the Laylands, in Seattle. But writing about those things will end up waiting for another day. Because I’m writing tonight from a hospital room. Again. And there are things on my mind that, for me, have been the subject of nightmares for many months now. Patrick has lost his central line. Not entirely yet. But it will have to be replaced. It all started Saturday night right after I put Patrick to bed after our first day home from Washington and went to clean up before Brian returned from Ukraine. Patrick had been in bed about half an hour when I heard a plaintive “Mommy”, and then that unmistakable, heart stopping sound of him throwing up in bed. I ran up the stairs but was too late. The poor little guy threw up half a liter of nasty green stuff. He must have felt awful all day. It took an hour to settle him enough to sleep. Saturday morning, a homecare nurse had come to draw some labwork and follow up blood cultures. All seemed well at that point.. But i was very glad for those cultures when Sunday morning, Patrick was having low grade fevers. We went to church just to be able to take the Sacrament and see how long we could make it. We had a backup plan for our assignments at church. And it wasn’t long before it was obvious Patrick didn’t feel well enough to sit quietly. So I took him to the foyer to let him move and I got on the phone with his doctor to see if we could come get more bloodwork done. And I pulled out a thermometer, and there was the number we had waited all morning for. 100.4 degrees farenheit. And official fever. So, we made a bit of a scene leaving church, packed bags, and came to the hospital. It took several hours to restart Patrick’s antibiotics. 8 for the one I thought he needed most, which just about made me crazy waiting for as he got feeling sicker and sicker. But as soon as they were given (along with a Priesthood blessing), Patrick started to feel a little better. We even slept through that first night. All seemed to be going smoothly by the end of the 2nd day. I was a rockstar advocate mommy and got Patrick therapy, a picture schedule, integrative medicine & aromatherapy, and even talked to the palliative care team about signing him up for their services. I even managed to get his GI, surgeon, and a radiologist to have a care conference to discuss replacing Patrick’s positional line. They came back in favor of a change and suggested a plan of action to decide if and how to proceed. And then, at 4 p.m., we came back to the room to draw cultures and start his antibiotics and his line wouldn’t draw. Or flush. We ordered TPA and we worked it, and we worked it… and, well, after 4 hours of effort, he was exhausted, I was heartsick, and the line was still not working. And the plan from the care conference was upgraded from a hypothetical, optional plan to a necessity. Today we put the plan into action. Patrick went to radiology for a sedated ultrasound of the veins in his upper body. The order was for light sedation. We learned today that Patrick is very capable of fighting light sedation. Made him silly and sleepy, but he was still perfectly able to fight the test. Moderate sedation didn’t fix things either. In fact, with sedation all of his inhibition control was gone and none of my usual distraction tricks were even an option. The ultrasound was wiggly, to say the least.. but the technician was patient and kept trying to get the information the doctors wanted. Listening to her review her images with the radiologist, though, made my heartsick. As usual, Patrick’s right side vessels are fairly scarred. (Though perhaps a little better looking than the last I’d known.) But, they worked enough to give a better answer about the left side than before. Instead of just saying “Inconclusive”, what they said was that the left subclavian vein (the one in his shoulder) has lots of little collateral vessels around it too and shows evidence of being swollen at least, if not scarred, and also probably has a clot in it. I asked the radiologist if that would explain the tricky behavior of this line for the past year and he said absolutely, that the vessel may have been pressing on the line. He also said that changing out the line over a wire was a risky move, given the clot in the line. But that I’d need to discuss that plan with our surgeons. Other vessels were open, but most of them looked to have some kind of narrowing. The rest of the afternoon was a little crazy. I got permission to change out Patrick’s button while he was still sedated and that went quickly and smoothly and he doesn’t seem to understand it even happened. That’s what we hoped for. And that meant that Brian came up for the ultrasound and stayed the afternoon. But it was a rough afternoon. Patrick didn’t sleep under sedation and he didn’t sleep after, either. He fought REALLY hard all afternoon to stay awake. We could tell when it started to wear off because he finally stopped fighting. But because of low heart rates, he still had to stay in bed till 5:30. We got out for a short walk, but when we came back for TPN at 6, and I asked the nurse if all was done so we could leave, she told me no. She didn’t want to use the automatic settings to taper Patrick’s TPN levels up (to protect his blood sugar levels)… and so, we couldn’t leave the room. The idea of making Patrick stay any longer in the room with the same old toys and bed and short IV tubing kind of broke my heart. So I had a very short little cry about it. Then I went and helped myself to several fitted sheets and used the extra safety pins around the room to build us a fort. That tided us over for the rest of the evening. Tomorrow will not be an easier day. As of tonight, they plan to take Patrick to surgery tomorrow. The surgeon will probably attempt first to put a line back into the same vein. That means that he’ll put a wire into the catheter, remove the old line leaving the wire, and then use the wire to guide a new line in. That is the best case scenario. The worst case scenario is that that won’t work. In that case, they want to repeat a venogram.. which is a contrast study of the Patrick’s veins. And they will use that to pick a new vein to put a line into. It is entirely possible that the surgeon will come in in the morning and decide that he wants to have that done before Patrick goes to the OR. And then we’ll just do that tomorrow and the surgery the next day. And the worst of worse case scenario is that the wire over doesn’t work, none of the other vessels are still wide enough to get a central line into, and then we’ll start discussing desperate measure that I don’t really want to get into in a blog post unless they happen. Needless to say, this is scary. I am still terrified of the idea of Patrick no longer having veins to give nutrition through. I do not want to imagine that happening. We are not to that point yet. There are veins in other places in the body that can be used. But there is still a lot of pressure to make one of these sites work because in order to have a transplant, Patrick has a have a central line in his upper body. I’m scared and I’m sad.. and I’m really, really lonely for some reason this stay. But I’m calm. We have been praying and fasting about this line for a while now. I can’t help but think that this is an answer to those prayers. This entry was posted in Central Line, Infections, Life as an SBS mom, Medical updates, Patrick, Priesthood, Short Gut Syndrome, Surgeries, TPN and tagged Broviac line, central lines, doppler, double lumen central line, minor medical procedures, my little fighter, Primary Children's Hospital, radiology, scary moments, sedation, surgery, ultrasounds on August 28, 2013 by geekino. Last entry, I wrote about Patrick coming down with a common childhood illness and how much more complicated that is for him. Well, as predicted, this illness definitely had it’s impact. The day after that blog entry, Patrick started throwing up. As it turns out, herpangina, better known as Hand, Foot and Mouth is caused by a series of viruses that live in the intestines. Symptoms indicate that Patrick’s was caused by one called “enterovirus.” As a result, Patrick started to lose so much fluid by g-tube that I was having a hard time keeping up replacing the fluid. By early afternoon, we had been officially discharged when we discovered another problem. When I went to connect the TPN, one of Patrick’s lumen’s wouldn’t flush at all. I tried a few times without success. But we were sleepy and his nurse timid. We’ve unclotted lines lots of times at home. He still had one working lumen, so I said “let’s go.” On the way home, I made calls to get the anticlotting agent sent to me. All night long I tried to work it, getting up every couple of hours to try again. It just didn’t work. By morning, I knew it was a lost cause for my efforts. But by this time Brian was also sick, I hadn’t slept in 2 nights, and Patrick needed rest. So I made phone calls instead of running in. Eventually, we made arrangements to go in to have the hospital staff try to unclot the line. We arrived around 8 p.m., (we asked to wait until we’d at least had Brian’s birthday dinner with his parents)… And the nurse tried all the things I’d tried. Finally, at midnight, we declared it a lost cause and they sent us home. Patrick’s doctor called the next day to tell me that, as we suspected, Patrick would need a new line. And we went on, finally feeling a bit better, with celebrating Brian’s birthday. We took Brian shopping for a few big wishes, then went out to dinner. That was all the energy any of us had. I talked to surgery the next day to make arrangements for the new line to be placed. Since Patrick still had sores in his throat and his surgeon was out of town anyway, we scheduled it a week away on Tuesday. That was a week ago today. The surgery went well. We checked Patrick in at 6 a.m. then talked to the nurses, surgeon and anesthesiologist who’d take care of him. The anesthesiologist said what we all know, “He looks a lot better in person than on paper.” Still, even minor surgeries can be major for Patrick so we didn’t really relax until his surgeon came and told us all was well. The only complication was that Patrick was bleeding fairly easily. But that seemed to be under control. We came home and I sent Brian off on a business trip to DC the next morning. His occupational therapist came the next morning as I was trying to find an assistant for the day-after-surgery dressing changes. Since we’ve been specifically trying to help him with those, she volunteered to help. All went smoothly and we were playing with her after when I noticed that I could see blood on the new dressings. I peeked under his shirt to find that the old line site had bled since the change so much that it had soaked the dressing and was now soaking into his shirt. So his OT made a quick departure as I called the hospital who suggested I change the dressing again and apply pressure. It worked and he went to sleep. But, come 6 p.m. the same problem came back. I called the surgeon on call this time and got the same instructions. They worked again, but I realized that Patrick needed to be helped to be a little less active until things healed. Lucky for him, we’d bought a zoo pass the weekend before, so I packed him up and went to the zoo where he’d be strapped down in the stroller for the morning. It worked and we had a great time looking at the animals (I think the zoo deserves a separate post)… He only scratched off his dressing once while we were there, and I was able to get a new one on without any bleeding at all! And I managed to keep the IV tubing away from the stroller wheels until we were exiting, when they got tangled so badly they broke, but fortunately I pulled off a quick tubing change without any incident and we made it home safely and ready to nap. He seems to be healing just fine from the surgery now… and his sore throat is gone. His tummy even was better for a couple of days. He’s back to losing a ton of fluid again this week which means either the enterovirus is still there… or he’s been exposed to something else… which is possible. It’s work sometimes to keep Patrick outpatient, but as my next posts will show, it gives him the chance to experience the joys of life, which makes it worth all my work. Sorry this entry is so long! Between Patrick, Brian and myself being sick at various times and me “playing Florence Nightengale” as Patrick’s case manager put it, this is the first chance I’ve had to catch up stories. I thought I’d start with the medical first so I can follow with tales of fun later. This entry was posted in Brian, Central Line, Medical updates, Surgeries and tagged anesthesia, birthdays, Broviac line, business trips, central lines, childhood illnesses, clotted lines, clotting factors, Dr. Jackson, enterovirus, fevers, Hand Foot and Mouth, herpangina, hospital stays, IV's, occupational therapy, output v. hydration, Primary Children's Hospital, scary moments, special needs parenting, surgery, surgery complications, the zoo, TPA, trials and triumphs on September 7, 2010 by geekino. This morning as I was laying in bed trying to convince my tired body to get out of bed to greet a happy 7 a.m. Patrick, I was contemplating on just how far my munchkin has come. And all of a sudden I realized that I am living in the midst of miracles right now. I am a VERY tired mother right now. By about 5 p.m. every day I just want to call it quits and go to bed because the work of taking care of a TPN-dependent, developmentally delayed toddler is exhausting! Patrick is a very active little boy right now. He’s on the brink of walking. He’s finally mastered the skills of carrying things from one room to another, of opening drawers and doors and emptying the contents found therein, and of putting things in places where I sometimes never find them again. 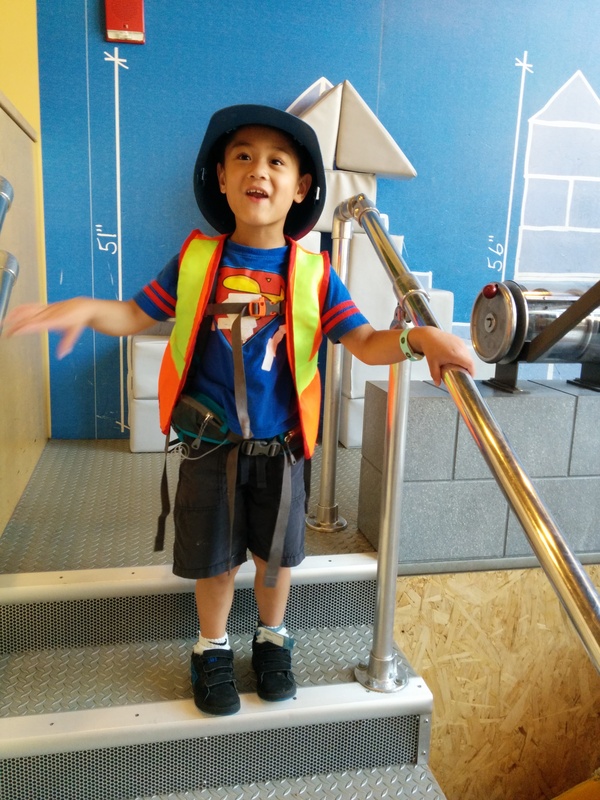 He’s bordering on two with the fully independent attitude that comes with that age – while simultaneously he’s finally getting the strength in his body to explore his world in ways he never has before. My good-natured patient boy has discovered tantrums. And he’s not afraid to use them to tell me when he doesn’t approve of me stopping some unintentionally self-destructive activity. And, if the exploration weren’t dangerous enough, try attaching IV tubing to this strong-willed child! Even with a 10-foot extension, he manages to get himself wrapped in and around furniture. He knows no limits! If I leave a baby gate open for even a few minutes, you’ll find him at the top of the stairs grinning, waiting to run from me the second I come to catch him before he reaches the end of his line and gets yanked back down. And this morning as I lay procrastinating getting out of bed I realized just what a miracle my total exhaustion is! This time last year, we’d just come home from the hospital. Patrick was thin and frail, not even able to roll over. Our current battles in physical therapy show that there should have been much more major consequences of his illness and arrest last summer. No one who hears his history ever expects to find normal looking boy smiling up at them. But right now Patrick has been blessed with exactly what I’ve always wished for him… The strength of both body and spirit to not know boundaries. He may still be limited, but he doesn’t feel limited. I take it for granted sometimes because they’ve been so common in our lives. But Patrick, Brian and I live in the midst of miracles each and every day. And we do so with full expectation that more miracles lie ahead. This entry was posted in Brain Injury, Cardiac Arrest, Development, Emily, Life as an SBS mom, Parenthood, Patrick, Therapy, TPN and tagged Broviac line, central lines, development, growing up, IV's, miracles, proud moments, special needs parenting, TPN, trials and triumphs, walking on August 13, 2010 by geekino.